As a good wedding planner offering complete Cyprus wedding Packages we can provide all those extra touches that make your wedding day special and unique. These pages give a small sample of some of the things that we can provide. If you don’t see exactly what you want just let us know and we will do our best to arrange it for you. 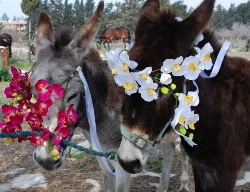 flowers in Cyprus, and prices are reasonable compared to similar wedding flowers in the UK. 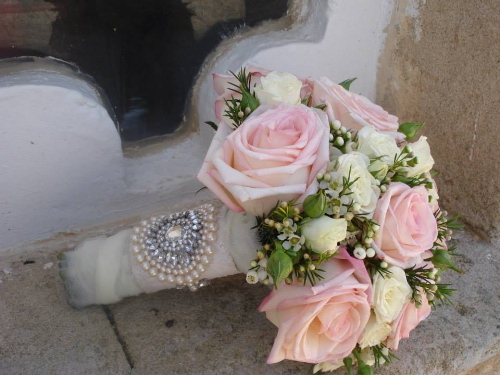 Our personal florist Maria is very artistic and has many years of experience in providing wedding flowers for both Cypriot and British weddings. She can dye flowers to match your own colour scheme if necessary, and has a range of special accessories such as floral arches, huge candles, candelabras, bird cages, flower stands etc to make your wedding venue look truly special. We do not provide standard bridal bouquets, we always provide flowers to co-ordinate with your chosen colour scheme. Ask your wedding planner for further details. Click here to see a small selection of our beautiful wedding flowers which can be inlcuded in all our Cyprus wedding packages. Our excellent professional wedding photographers James Morrall or Lee Stevens will be pleased to photograph your wedding day. 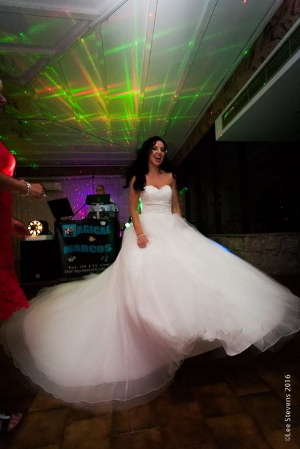 They are both fully trained professional photographers with many years of experience in Cyprus wedding photography so you can be confident that your photographs will be of an exceptional standard and you will be able to look back on the details of your wedding day for many years to come. Many of our couples also like to have a ‘Trash the Dress’ photography session after the wedding. This is a relaxed private photo shoot for just the bride and groom in a scenic location – this can be either by and in the sea or anywhere of your choice. You don’t have to literally trash the dress if you don’t want to, and we do have spare wedding dresses that can be borrowed for the day. Ask your wedding planner for further details. Click here to find out more and see samples of their work. Your wedding planner will decorate your wedding venue with a range of decorations including place names, place cards,personalised menus, table plan, wedding favours, bubbles, poppers and table confetti to match your chosen colour scheme. We also have a wide range of coloured chair bows, table runners and lanterns and can also supply balloon displays too. Any items we don’t have ourselves we hire from excellent local wedding decoration companies so we can provide virtually anything you want including wedding gazebos, candy carts, chiavari chairs, ice cream bicycles, decorative easels & mirrors, large stands for flowers, large love lights, starlight dance floors, festoon lighting, post boxes, flower walls – the list is almost endless. We have our own printing and graphic design company and can design and print a wide range of unique items including roll-up welcome banners, personalised aisle runners, A1 & A2 sized welcome boards, table plans and a wide range of wedding signs. These can all be complimented with a range of matching table stationery (table numbers, place cards and personalised menus) and also unique personalised wedding favours which we make with our specialist equipment – these are items that you can’t get elsewhere, so please browse through to see what we have to offer. All of these items can be seen on our other website Wedding Banners & Boards so please come and have a browse at our lovely designs which can be included in any of our Cyprus wedding packages. 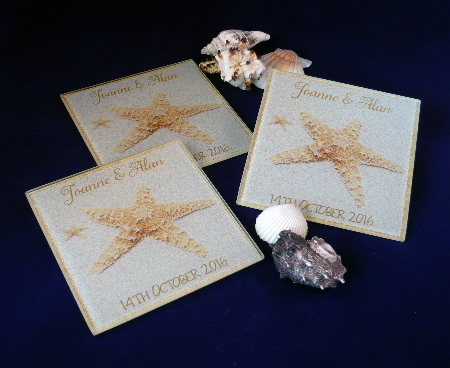 Click here to see wedding favours and table stationery. Wedding cakes can be provided in all shapes and sizes from the traditional white iced two tier cake, through to gorgeous cupcakes and novelty cakes. They can be decorated with real flowers, or sculpted icing flowers hand made by our talented baker. 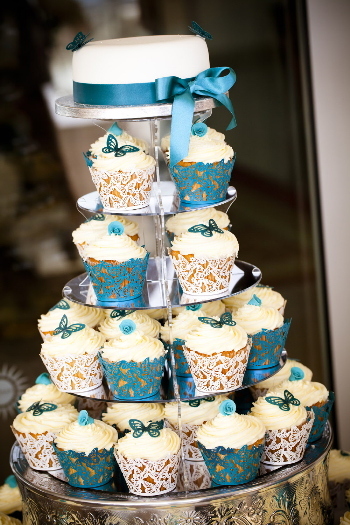 We can also make cup cake wrappers in various colours to match your colour scheme as shown in the picture to the let where the bride had a teal and ivory colour scheme. If all the cake doesn’t get eaten at the wedding we can provide small cake boxes for individual slices or cup cakes so the guests can take them away to be eaten on another day. Most couples tend to select sponge or madeira cakes, rather than fruit which can be a little heavy in the heat. Please note that it is not always possible to provide chocolate cakes as these do tend to melt in the heat! Click here to see more cakes. 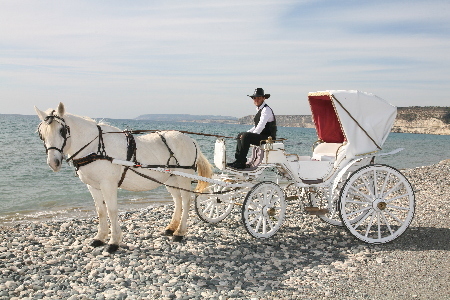 Travel to your wedding ceremony in style in a fabulous horse and carriage, or choose one of the wide range of cars and buses we have available to suit all tastes and budgets. We can transport your guests to the wedding and the reception as well in a variety of different sizes of vehicles and can also get you all home at night after the reception so you don’t have to worry about arranging taxis. If you would also like us to arrange transport for you from the airport to your accommodation we will be pleased to help so ask your wedding planner for further details. Click here to see cars. Mark is our professional wedding DJ, he has been working with us for many years, and is guaranteed to ensure you have a fabulous party! He has great sound equipment and a big array of different lighting effects to add to the mood. We have a running challenge with him to see if we can come up with any tracks of music that he doesn’t have in his collection, and so far we have failed dismally! Mark in a previous life was entertainments director on a cruise ship so is a great showman, and also a talented singer. If that isn’t enough he also does great close magic tricks for adults, so why not ask him to do some tricks for you during the dinner. Ask your wedding planner to book Mark for you. We have just purchased our very own Magic Mirror and we have named her Millie! This is great fun, and really gets the party going. We provide a full range of fun props including hats, glasses, feather boas, blow up props and signs for all those silly poses and your photos are printed instantly for your guests to take home with them. Photos can be supplied in a range of different layouts and styles (not strips like the old fashioned photo booths) and we can also print a second copy of every photo which we will mount in an album for you, or if you prefer we can supply all the photos on a USB. we create a bespoke background for your photos to match the theme of your wedding. There will be a a booth assistant to assist guests for the duration of the event to ensure that they have great fun and that they also take home some great photos! 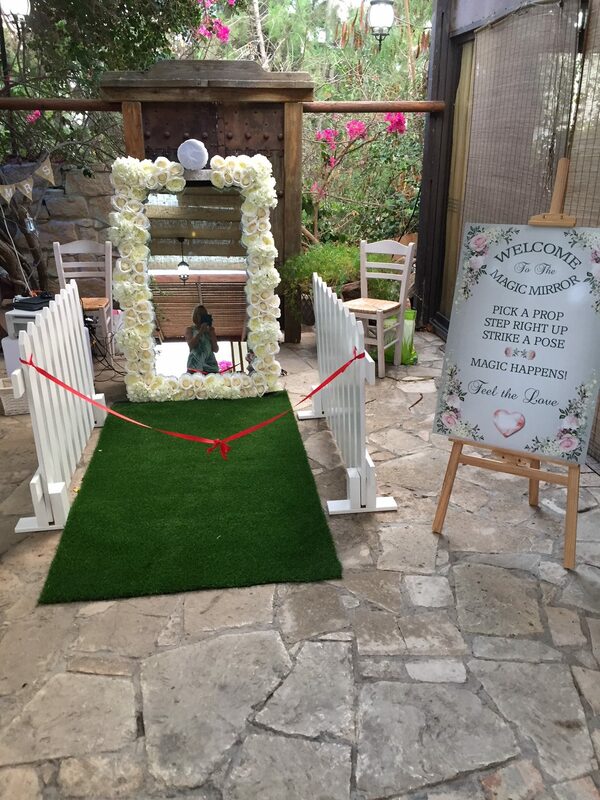 We have two styles for you to choose from, the floral mirror frame with white picket fencing and grass carpet shown here, or alternatively a silver mirror frame with black glitter carpet and silver metal rope posts for a more sophisticated look. You can book the mirror for either 2 or 3 hours for some fun at your wedding. Ask your wedding planner to book for you. 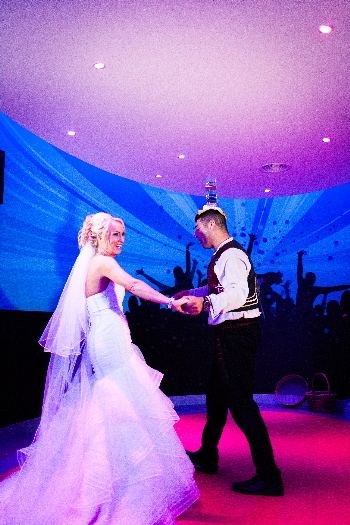 Why not include a traditional Cypriot dancing display as part of the evening entertainment. This is great fun as the dancers ask the audience to participate, and they also get everyone up and dancing with them. Displays normally last for one hour. Click here for details of further entertainment options. We have launched an exciting new business called Wedding Adventures. Enjoy an exciting and fun day out, participating in a range of thrilling outdoor adventure sports including sea kayaking, mountaineering, scuba diving, horse riding, trekking and mountain biking in stunning locations and discover the real Cyprus that many visitors never get to see. Cyprus offers the perfect location with fabulous weather, warm seas, stunning mountain scenery and a fascinating rockery coastline with secret caves and coves which can only be accessed from the sea. 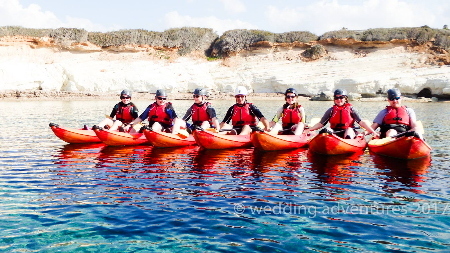 We offer a range of action packed half day and full day trips for wedding parties either before or after the wedding including free transport to and from your hotel, a range of adventure sports accompanied by experienced instructors, followed by a meal and drinks in some of the most stunning locations in Cyprus. A professional photographer will take photos of you and your party throughout the day and you will also each receive a personalised photo gift of your choice as a memento to take home. The photos will be available online for you to view, or for a small extra charge we can supply high resolution images on a DVD for you. If any couple would also like a private 30 minute photo shoot in any of our locations with our professional photographer during the day this can be arranged for an extra charge. Our team of professional instructors and event organisers all share a passion for adventure, and love spending time outdoors enjoying everything that this beautiful island has to offer. We have all given up the 9 to 5 grind to do the things we really love and like nothing better than sharing our experience and knowledge of Cyprus with others, so come and join us for a memorable day out. Click here for details about Wedding Adventures. If a bride and groom meet a chimney sweep at their wedding it is a very good omen for their future especially if he wishes them good luck. 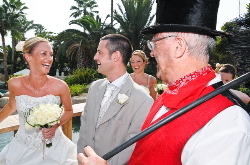 Why not add that special touch to your wedding and ask Dave the lucky Paphos Chimney Sweep to come and wish you luck at your wedding. Dave is actually a working chimney sweep, he will shake hands with the Groom and receive a kiss from the Bride – much to the delight of the wedding guests. He will then recite a poem and wish the Bride & Groom good luck for the future. The Bride & Groom will be presented with a framed copy of the poem and a miniature sack containing a piece of lucky coal, bread and salt. Ask your wedding planner for further information. Most people tend to immediately think of booking a hotel for their holiday, but there is a wide range of high quality apartments and villas with pools for rent in and around the Paphos area. Villa holdays can be very cost effective for your wedding guests, especially for those with children, when a hotel holiday for a family of 4 or 5 can be extremely expensive, a villa holiday will usually work out a lot cheaper, and of course you get far more space and often your very own pool which is bound to keep the kids happy. We have include links to websites you may find useful when planning your wedding. They include details of airlines which fly to Cyprus, the weather forecast, car hire,suit hire and similar items that may come in handy..